Alienware M18x R2 with 8 beeps and a black screen upon start-up: LCD failure or graphics problem? If your Dell Alienware M18x R2 starts up with a black screen and 8 beeps and is out of warranty, you may want to do some troubleshooting in order to isolate whether it is a GPU failure, a faulty screen or a display cable failure. Many forums claim that the 8 beeps and the black screen are an indication of a screen failure. We recommend that you first reseat both the GPU and the display cable using some easy to follow disassembly videos available on YouTube. If you feel opening the Dell Alienware M18x R2 gaming laptop is too complicated or if you don’t feel comfortable being around computers, Creative IT in Central London can help you. You can also connect the machine to an external monitor to check if you get a display. If you successfully see your laptop’s screen on external display device, then something is wrong with the notebook screen. If not, there is a video card problem that our experienced Alienware laptop repair technicians can fix for you. 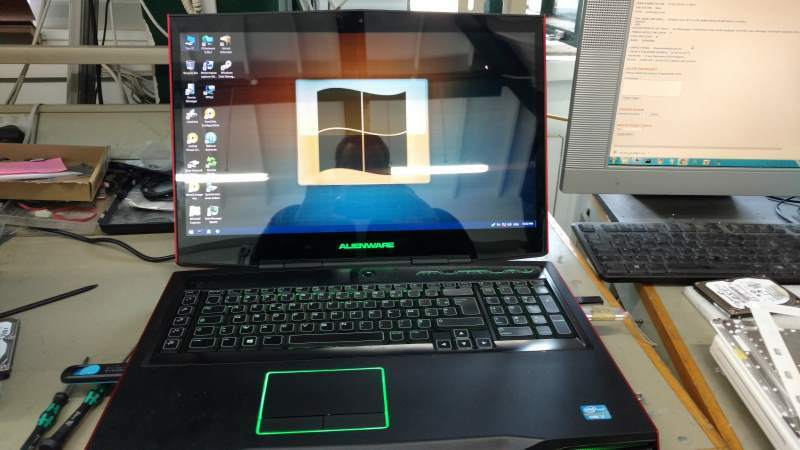 We had an Alienware M18x R2 notebook with 8 beeps and black screen for repair this week. It has two video outputs, one coming from the motherboard and one coming from the external card. The external NVIDIA GeForce 6800 graphics processing unit is the one which is high performing when playing games and using high quality graphics. The other one is used for basic browsing and documents. The NVIDIA GeForce 6800 graphics card was removed and the machine had a display. The 8 beeps went away which meant the machine was functioning without the external video card. The 8 beeps therefore pointed to the external NVIDIA GeForce 6800 graphics processing unit (GPU). 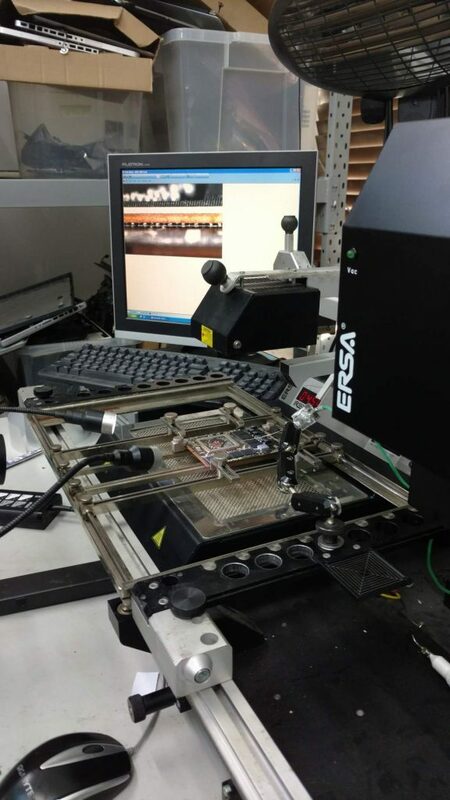 The NVIDIA GeForce video card was repaired by reballing the video chip. We then reassembled the card and put it back in the Dell Alienware M18x R2 notebook computer. The machine was no longer emitting the 8 beeps and was working properly.